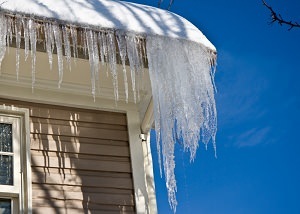 Watch this video to learn how ice dams form and how Dr. Energy Saver, A Blackdog Affiliate, your local Dr. Energy Saver contractor, can help prevent them! 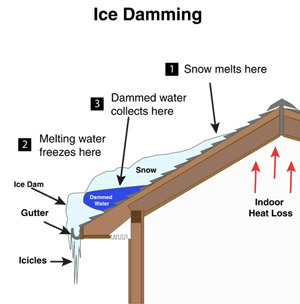 While a roofing contractor can provide a temporary solution to your ice damming problem, Dr. Energy Saver, A Blackdog Affiliate can prevent future ice dams by sealing air leaks and improving the insulation in your attic. Call us at 1-888-914-4171 or click the button below to request your in-home energy audit and free estimate! We service Andover, Haverhill, Methuen and surrounding areas. Get A FREE Ice Damming Quote! For an effective solution to your ice dam problem, contact the energy specialists at Dr. Energy Saver, A Blackdog Affiliate today to request an inspection and get a free estimate to upgrade your home insulation. We work in Reading, Wilmington, Methuen, Tewksbury, Chelmsford, Wakefield, Dracut and throughout the state.